Usually I focus almost entirely on Milan, but my hat is off to Fiorentina tonight. Determined to climb back up from where they never really deserved to be this season, with a double dose of bad luck in losing their two excellent strikers to injury again, and traveling to Greece and back on Thursday where they made Serie A proud in the Europa League… and then to come out and perform like this away at the San Siro? I have long admired Montella, but I really feel like he doesn’t get enough credit for what he has done for the Viola, particularly considering their curse in the injury department. I’m sure Fiorentina fans know where they could have played better tonight, but I was still impressed. Another problem with being hyperfocused solely on Milan is that this view doesn’t take into consideration the specific challenges of the opposing team. For example, by only really lining up one striker in the quickly emerging young Babacar, Montella technically had five midfielders out there – players who know how to intercept, hold, and pass (unlike a certain Milan midfielder who starts every game he is eligible to play in… looking at you, Muntari!) So maybe they looked like a 4-3-3, but when it came to defend, it was more of a 4-5-1 type of system at least in terms of the players’ abilities. That made it very difficult for Milan’s attack, their strongest area by far, to do what they do best: score. In fact, the lack of clinical finishing was evidenced in Milan taking 15 shots but only two on goal. Not surprising then that it was our 5’8” defensive midfielder who scored our only goal in the 25th. A header, no less, from a corner. 1-0 Milan. And one small victory for Milan’s set piece history. Could he be the ultimate flying Dutchman? Or you could also take into consideration that Milan’s focus this match seemed to have switched to defending, an area I would rate most improved in this game. Fiorentina’s lack of goal scoring this season has made them that much more hungry for goals, and their twelve shots tonight showed that drive. But with far fewer errors than any Milan match I can remember in recent history, our defense was nearly infallible. Until the 64th, of course, when the fresh-legged Ilicic took his amazing shot from distance that beat everyone in red and black and also that green keeper kit, too. 1-1 all. I liked Inzaghi’s subs, except that I always have to question when a coach doesn’t use all three subs ahead of a midweek match. Just out of common sense, really. The curse of this squad is like pretty much all Serie A teams: there aren’t any standout world class players. But the beauty of this squad is that we’ve managed to collect quite a few players who are just a notch or two down on that scale, and many who are kind of interchangeable in that respect. Some call it a mediocre squad, but we have more depth than we’ve had since the mass exodus of the Senatori, and maybe even more than we had then, at least in attack and defense. 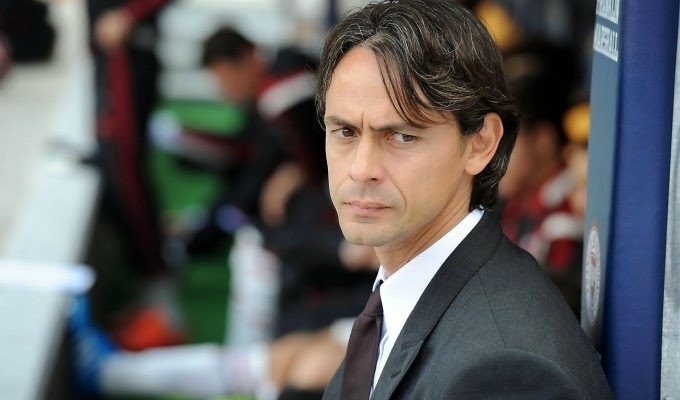 So hopefully Inzaghi is counting on using that depth as we face Zeman’s Cagliari on Wednesday. "Not even my good looks can fool her, I've got to start subbing better." 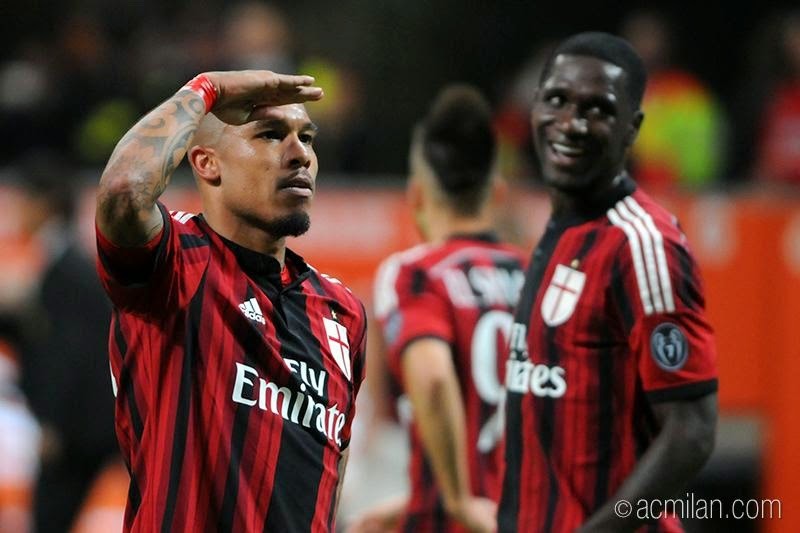 De Jong was stellar, man of the match not just for his amazing goal, but for his performance for the entire 90 minutes. He is so motivated by any kind of failure, and his failure to be available for Verona last week clearly motivated him to perform even better tonight. Not quite enough to avoid the yellow card he saw in the 78th, but the opposite kind of performance to that of the other Milan yellow card recipient, Sulley “The Killer” Muntari, who was cautioned in the 61st for a foul on Babacar. We can’t blame every Milan error on any one player, but I will say that the only way we will ever truly improve our midfield is to lose the player who loses the ball the most. Disappointing to drop any points, of course, but it was a great battle between two teams struggling to climb back up where they belong, and so sharing the points was very fair. My impression of this squad so far this season is that I see a lot of progress thus far, more than I expected by this point. We slipped back to sixth in the table with the draw, which is still an improvement on where we ended last season, and it’s only week eight. I was proud of the effort tonight and very proud of a defense that has struggled so much up until now. And again, credit to Fiorentina for giving us such an equal fight for points. Two teams with young coaches and both struggling for Europe next year, a parallel universe indeed.